Jack Tretton believes that gamers are "willing to pay if they see the value" in what Sony has to offer for the next generation. Though we still don't know the price at which the PlayStation 4 will launch, SCEA CEO Jack Tretton assured CNBC that the price of software won't be rising. Stating that the console is "designed with the game developer in mind and the consumer in mind," he gave a price range of 99 cents to $60 for games, meaning we can expect comparable pricing to what we've seen this generation. "I think people are willing to pay if they see the value there," Tretton added. Several games have been announced for the PS4, among them Activision and Bungie's Destiny, Blizzard's nine-month-old Diablo III, Ubisoft's Watch Dogs, and the next games in the inFamous and Killzone series. 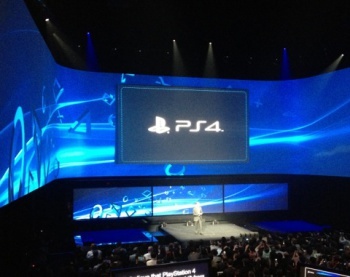 He also addressed complaints that Sony did not show the actual console it was announcing at Wednesday's PlayStation Meeting, explaining that gamers would care more about "what comes out of the box, not what it looks like. I can promise you that it will be plastic, it won't be triangle shaped or round. You'll see the box in due time." The PS4 is due out at some "pre-Christmas" point this holiday season, and Tretton said we'd hear more from "several key events between now and the launch date."